As forecasters are refining their predictions as to the threat of Tropical Storm Hermine this weekend, the National Weather Service has provided a first glimpse into one of the most dangerous factors in any such event: the storm surge. The latest prediction from the National Weather Service indicates a storm surge of up to 3 feet from Hermine, which is currently spinning off Tampa in the Gulf of Mexico. Gary Szatkowski, chief meteorologist for the NWS office in Mount Holly, said via social media late Wednesday that there is now a “significant” chance of tropical storm force – 39 m.p.h. plus – winds this weekend. 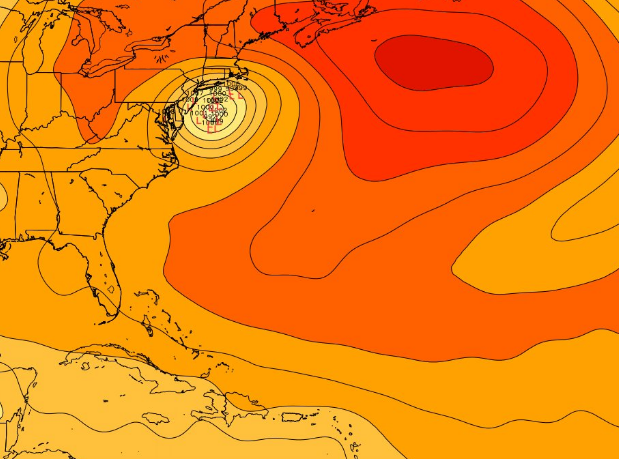 The timeline is still up in the air, according to forecasters, though the latest data from the National Hurricane Center predicts the storm will be just off the coast of Atlantic City by 7 p.m. Sunday. Impacts to the Shore area are “significantly more likely” with the latest tracking, which brings the storm farther west than it was previously forecasted. While forecasting models are coming into better agreement that a cold front will leave the area early, missing its chance to sweep Hermine out to sea, the track of the storm is still in question. Some models still take the storm farther east of the New Jersey coast, while others predict the storm will stall directly off the Garden State.